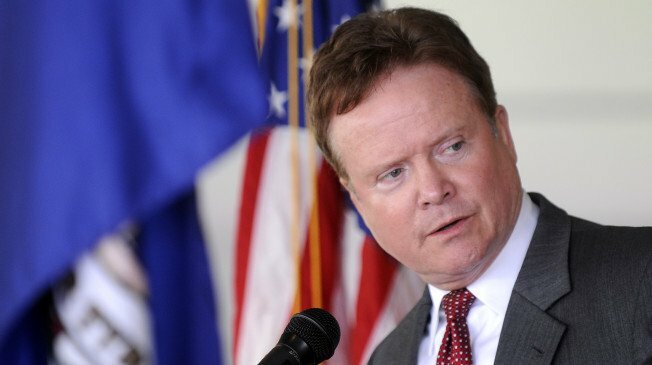 Jim Webb has announced he will no longer seek the 2016 Democratic presidential nomination. The former Virginia senator has said on October 20 that he is considering how he might “remain as a voice” in the campaign, possibly as an independent candidate. Jim Webb has struggled to gain traction in the Democratic primary, often polling at or below 1%. Ex-Secretary of State Hillary Clinton is still leading the race, followed by Vermont Senator Bernie Sanders. “I am withdrawing from any consideration of being the Democratic Party’s nominee for the presidency,” Jim Webb said. Jim Webb, who was a Navy secretary under Republican President Ronald Reagan, became a Democrat after opposing the Iraq War. During the first Democratic debate, Jim Webb struggled to explain why he was at odds with his party on key issues like gun control and affirmative action. He also often complained about his lack of speaking time. Jim Webb had been promoting criminal justice reform and an overhaul of campaign finance laws while criticizing President Barack Obama’s foreign policy.